Tama Group assists cities in up-to-date urban development. Highly automated information extraction from imagery establishes optimal conditions for urban mapping and current inventories with various priorities. You want to know the current amount of green areas – we detect them out of imagery. 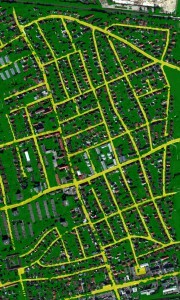 If you want to put emphasis on traffic volume or density of parking cars, we can do that as well. 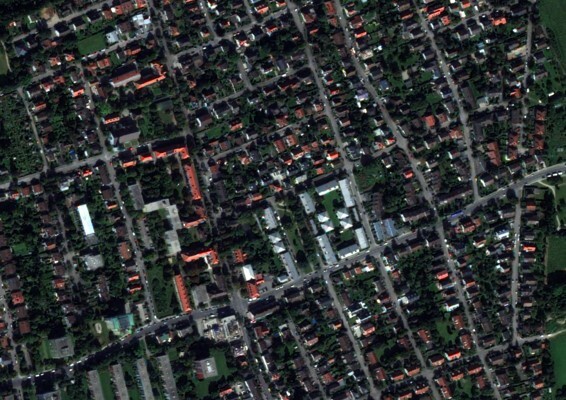 Imagery can be analyzed with different focus and supply valid data and such form the basis for up-to-date urban management. Such a timeline analysis of a certain topic may give insights of a development and verifiable data. As the green areas and trees in cities are increasingly exposed to new stresses, the management of urban natural resources is facing new and changing challenges. Tama Group assists urban management with mapping the green infrastructure up to a single tree to get a valid basis for further maintenance and growth of this asset. But for keeping a city functioning you also have to keep an eye on traffic volume or density of parking cars to identify developments and respond to them. Simultaneous Tama Group may enable urban management to have look and get information about the near underground without working the soil. Our methods of analyzing ground radar imagery facilitate intruding into the subsurface without unpleasant surprises. These are just a couple of examples we have on hand or may develop for urban management. Please contact us and let’s talk what we can do for you. Urban imagery is generated by various sensors. We can analyze high-resolution satellite-imagery as well as aerial imaging or images taken by RPAS, ground radar or other mobile sensors.